The creation of new capital ship concepts seems to historically stem from a combination of new technology, change in strategic situation, and changes in financial resources available for warship construction and maintenance over time. 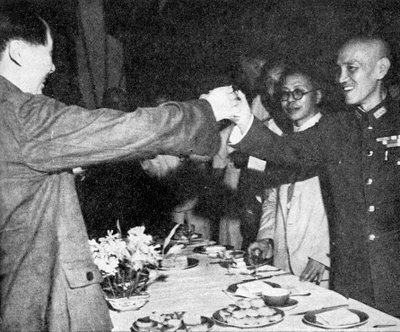 The best known such case is that of the development of the aircraft carrier from simple experiment in 1914 to master of Pacific theater warfare in 1941. The carrier’s evolution from experiment to capital is fairly well known, especially from books such as historians Allan Millet and Williamson Murray’s Military Innovation in the Interwar Period, Albert Nofi’s To Train the Fleet for War, and books on aircraft carrier development by the noted naval historians Norman Polmar and Norman Friedman. The record of success in the process of creating a new capital ship is however mixed and forced attempts without the benefit of exercises and evaluation over time are not always successful. It is also useful to study less-than-successful capital ships. Consider the cases of the American Civil War ironclad monitor-type warship and the early twentieth century battlecruiser. Varying degrees of the three factors (technology, strategy, financial change) went into their concept development and active employment. These classes were overtaken by further perturbations in the same three categories that were responsible for their initial creation and their reign as “capital ships” was brief. A study of these less-than-successful capital ship entrants is useful in predicting the emergence of the “next” capital ship. The American Civil War was the genesis of several ship types, including early versions of the submarine, and the torpedo/mine laying boat. Two potential capital ship entrants include the monitor-type turreted ship and the high-speed steam cruiser. Both later filled roles as capital ships in other navies. In the case of the turreted ship, a change in strategy as dictated by the need to batter through Confederate A2/AD defenses and advances in metallurgy needed for thick armor and rifled guns made possible a new class of capital ship superior to all previous U.S. capital ship types. 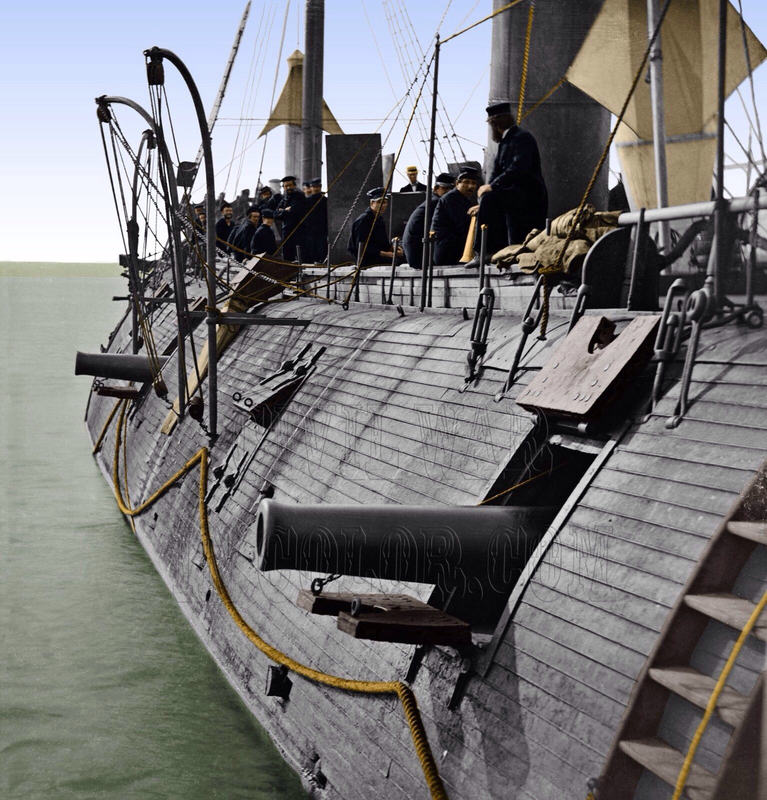 The steam frigate; the early industrial age descendent of the sailing ship of the line, was no match for armored warships with large solid shot or shell gun weapons. The ineffectiveness of the USS Cumberland, USS Congress, and the new steam frigate USS Minnesota against the Confederate armored ship CSS Virginia attested to the superiority of the armored ship over previous “capital” ship classes. The addition of the revolving armored turret in the original USS Monitor only enhanced armored ship capabilities. 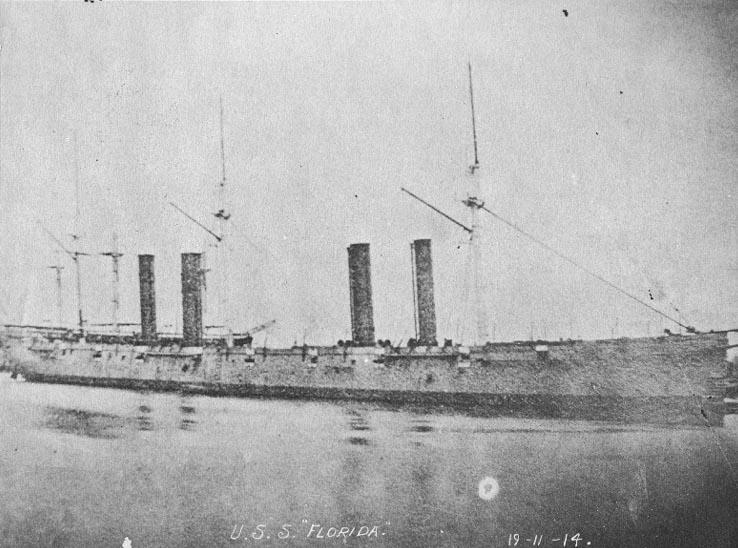 In later battles with Confederate armored ships such as CSS Atlanta, and CSS Tennessee, the turret-mounted guns on U.S. Navy monitors made short work of Confederate warships that often could not bring their armament to bear on the more agile Federal warships or lacked the armor to withstand monitor weapons. By 1865 the monitor fleet included dozens of units, including the largest Dictator-class that approached 5000 tons displacement and 350 feet in length. A change in strategy and funding at the end of the war, however, and a failure for some aspects of armored ship technology to keep pace with political developments, ended the monitor’s brief reign as capital ship. The end of the rebel states’ coastal defenses and littoral armored ships left the monitors bereft of littoral missions. The U.S. returned to a strategy of forward-deployed squadrons on foreign stations for influence and limited combat missions. While two monitors made transoceanic voyages and were well-received by European audiences, their limited range, generally poor seakeeping and heavy coal consumption made them unfit for the new, financially austere strategic era in U.S. naval policy. On one such voyage it was discovered that while rated at 350 tons coal storage, the USS Miantonomoh actually carried only 264 tons and was towed by one of her escorts for a considerable part of her transoceanic voyage due to lack of coal.1 Nearly all were out of service by 1877. A few were briefly re-commissioned for the Spanish-American War against the threat of Spanish coastal attacks but were swiftly retired and scrapped soon after that conflict’s end. While initially successful in the limited terms of operational employment envisioned, the monitor was unable to become an enduring capital ship. Finally, there is the case of the battlecruiser which was British Admiral Sir John Fisher’s attempt to scientifically address advancing technology, high costs in warship construction, and meet the needs of a new strategic era in a purpose-designed capital ship. Early twentieth century British naval estimates had skyrocketed over the previous decade as Britain sough to maintain a “Two Power Standard” where the Royal Navy’s capital ship fleet was the equal of the next two largest naval powers. This effort, combined with the high costs of the recent Boer War and a desire on the part of many British lawmakers to increase the size and funding of the nascent British welfare state put great pressure on Britain’s naval leadership to cut costs whilst maintaining maritime superiority. The capital ships charged with maintaining British maritime superiority were the standard battleship (later known as the predreadnought,) that was designed to combat similar vessels in pitched battle and the armored cruiser; a high-speed capital ship designed to protect British global commerce and to hunt down and sink enemy commerce raiding ships. Both ships were expensive, but both types were seen as essential to British maritime security. Fisher’s solution was to combine both of these classes into one new capital ship capable of meeting all of the previous requirements. Advanced fire control systems then under development that allowed all of the guns of a warship to be fired in concert against a single target were also incorporated into Fisher’s new capital ship concept, albeit with less attention to detail than that which went into the guns and speed of the ship. This vessel was the battlecruiser, the first of which (HMS Invincible) was commissioned in 1908. 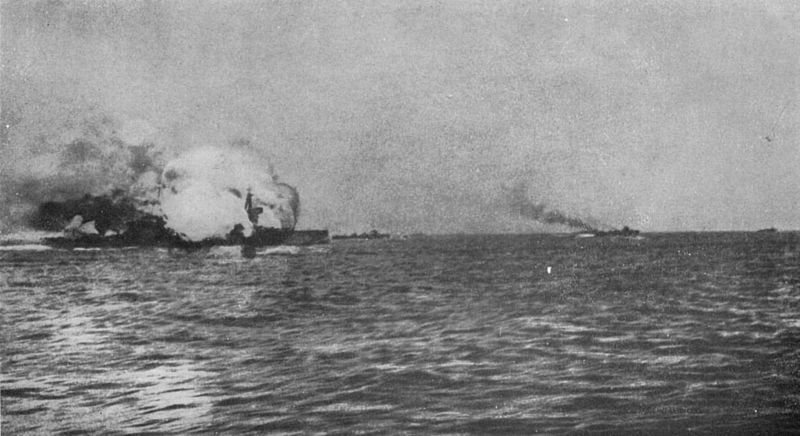 The battlescruisers had the size and high speed of the armored cruiser, with the heavy guns of a battleship, at the expense of additional armor that Fisher thought superfluous if the battlecruisers big guns and superior fire control allowed it to hit enemy warships decisively before return fire could inflict damage. Fisher envisioned the battlecruisers as the Royal Navy’s deployable “911 force” capable of meeting both enemy battle fleets and commerce raiders on the high seas while torpedo-armed destroyers and submarines guarded British littoral waters against enemy warships and potential invasion of the British homeland. The battlecruiser concept, as well as Fisher’s other capital ship concept the HMS Dreadnought-type, all big gun battleship, allowed him to reduce British naval costs from 1905 through 1910. Unfortunately, technology continued to advance and the strategic situation around which the battlecruisers were designed changed. Oil propulsion, bigger guns, and the ability to build larger vessels resulted in a further combination of the dreadnought battleship and the battlecruiser into the “fast battleship” concept; the first of which was the Queen Elizabeth class of 1913. This ship could travel nearly as fast as the battlecruiser, and possessed superior armament and armor to the existing battlecruiser fleet. The strategic situation also changed. Fisher designed the battlecruiser against the known threat of French and Russian armored cruisers built to attack the British Empire’s global trade routes. The advent of the Triple Entente alliance and the emergence of the German Empire as the Royal Navy’s new, primary enemy resulted in a different employment for the battlecruisers. Germany had no fleet of commerce raiding cruisers, and built short-range battlecruisers of its own as scouting elements for its battle fleet. While some British battlecruisers remained stationed overseas in accordance with Fisher’s original concept, most were assembled in home waters as a heavy scouting arm of the battle fleet much as were their German counterparts. The experience of war seemed to confirm the utility of the fast battleship over the battlecruiser. Although the first two battlecruisers (HMS Invincible and HMS Inflexible) found early employment as Fisher intended; hunting down and sinking German Vice Admiral von Spee’s raiding cruiser squadron, most wartime battlecruiser operations were in support of battle fleet actions in the North Sea. German battlecruisers sacrificed gun size, operational range, and habitability for survivability and were likely more robust than most of their British counterparts. Heavy British battlecruiser losses at the Battle of Jutland were probably more to do with the failure of British gunnery officers to abide by their own standing and safety orders then any inherent vulnerability of the battlecruiser type. Nonetheless, the loss of three British battlecruisers and over 3000 men with them in spectacular magazine explosions, along with the scapegoating of the class by senior operational British commanders to cover failures in tactical doctrine did much to discourage further construction. The “last battlecruiser” HMS Hood was also sunk by a magazine explosion 20 years later by the German battleship Bismarck, an event that served only to further discredit the battlecruiser concept even though Hood was over two decades old and in need of refit and modernization. What do these examples suggest about the changes in capital ship design over time? Changes in national strategy can quickly make today’s ideal warship an expensive anachronism from another era. The U.S. navy monitors, the high-speed Wampanoag, and the battlecruisers were all ideal warships as conceived in support of their respective national and naval strategies. The end of the Civil War and of the Franco-Russian surface raider threat to global British shipping made all three designs obsolete to a degree. Changes in financial support to a navy can also change capital ship definitions and bring about a search for alternatives. 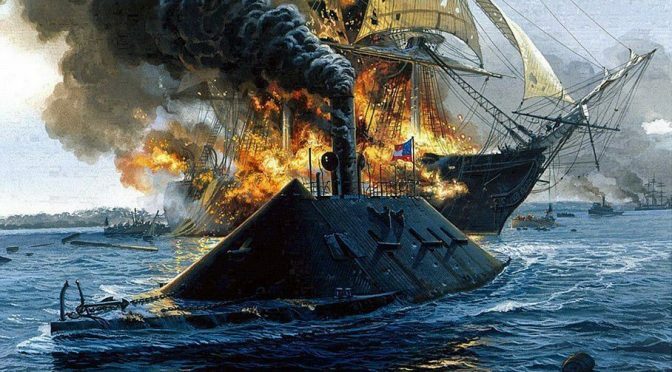 The post-Civil War U.S. Navy funding shortage limited the applicability of coal-hungry armored or high-speed ships, and brought a nearly two-decade return of ships with significant sail propulsion. The expensive British “Two Power Standard” building program helped to drive the search for an alternative major combatant in the form of first the Dreadnought battleship and then the battlecruiser. Post World War I financial and treaty limitations of battleships in turn helped to drive the development of the aircraft carrier. Finally, technology never stands still for long, and the monitors, the Wampanoag, and the battlecruisers were all overcome in short periods of time by ships with more advanced capabilities. What do these changes in historical capital ships suggest about designs for the “next” primary naval platforms? The British naval architect and historian David K. Brown suggested that while the aircraft carrier was always more vulnerable to attack than was the armored battleship, the flattop was able to deliver a larger and more sustained load or ordnance on an opponent as compared to even a squadron of battleships. Anything that replaces the aircraft carrier or the nuclear submarine (both have proponents that suggest they are the current capital ship,) must at least deliver a heavier, sustained combat punch than these units. The monitors and the battlecruiser were both superseded by ships that met this criterion. The aircraft carrier, by contrast, has been upgradable over time with new aircraft making it sustainable for a long period. Continued technological advances demand that any new platform be upgradable over time. The Wampanoag’s machinery was advanced, but contained wooden gears that wore down and needed a replacement over the course of one voyage. Subsequent machinery plants and other systems were more robust. The electromagnetic rail gun may be the next weapon of the next capital ship, but its barrel life must improve beyond a few hundred shots in order to be operational and tactically viable. There is a lively debate as to what the next capital ship or system will be, but it will still likely be affected by the same financial, technological, and strategic influences that drove past capital ship changes. Any new capital ship must be capable of greater sustained ordnance delivery over time than its predecessor. Given the changes of the last decade in terms of a new era of strategic, great power competition, the rapid advance of many technologies, and financial shortfalls for many nations in terms of naval spending, the question of the next capital ship remains a healthy one open to continued debate. Steven Wills is a retired surface warfare officer with a PhD in Military History from Ohio University. 1. Howard J. Fuller, ““A portentous spectacle”: The Monitor U.S.S. Miantonomoh Visits England, “ The International Journal of Naval History, Volume 4, No 3, December 2005, p. 8. 4. Wegner, D.M. ; Ratliff, C.D. (September 1998). “USS Wampanoag, 1868: Isherwood, Taylor, and the Search for Speed”. Naval Engineers Journal, pp. 19–31. 6. David K. Brown, From Warrior to Dreadnought, Warship Development from 1860 to 1905, Barnsley, UK, Seaforth Publishing, 1997, p. 19. Featured Image: “Congress Burning” by Tom Freeman. The Battle of Endor was the ultimate confrontation in the original Star Wars trilogy. It was a two-pronged battle both in space and on the surface of Endor. Each was a desperate race against time; the Rebel Fleet desperate holding out against the Imperial Fleet backed by a fully armed and operational Death Star laser while a strike team battled a full Imperial Legion defending the Death Star shield generator. We all know how the story ends: the plucky Rebels manage to overcome the Legion through successful use of indigenous forces and coalition warfare, allowing the Rebel Fleet to destroy the Death Star from the inside. The Death Star explodes, the evil Emperor dies, and the galaxy is finally free of tyranny. The end. While this makes for good cinematography, it makes for poor understanding of military strategy. As the television show Robot Chicken points out, there is no reason why the Rebels should have won that battle even once the Death Star was destroyed. The Imperial Fleet was still very much intact, though down a Super Destroyer, and could have prevailed in a protracted conventional engagement. Moreover, the Emperor’s initial strategy to hold the Imperial Fleet in reserve in order to demonstrate the Death Star’s power and fuel Skywalker’s despair in his fall to the Dark Side was clumsy at best. Palpatine demonstrated what happens if you do not pay attention during strategy classes. 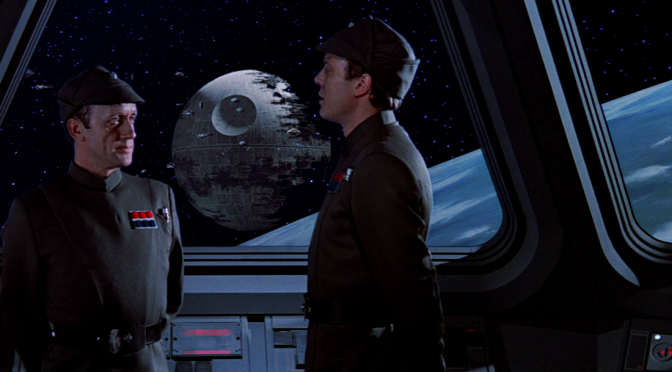 If Grant was directing operations at Endor, he would immediately engage the Rebel Fleet. He had enough numbers to overwhelm the Rebel Fleet early while they were still processing the trap the Empire laid. He also had optimal field position. The Rebel Fleet was trapped on three sides by the Death Star, Endor, and the Imperial Fleet. 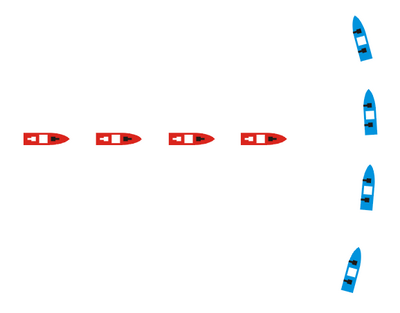 The Rebels were also strung out in a long column while the Imperial Fleet was in a broad line. Imperial Star Destroyers, with their superior armaments and optimization for firing at targets to their front, “crossed the T” and pummeled the ships in the Rebel vanguard before the heavy cruisers in the rear could get into good firing range. Grant’s approach does have a downside: the risk of a Pyrrhic victory. The Imperial Fleet is not just a warfighting tool; it is also a tool of domestic policing. The Empire is held together through fear of the Imperial Fleet, so conventional losses at Endor could have been a political disaster when coupled with Emperor Palpatine’s death. 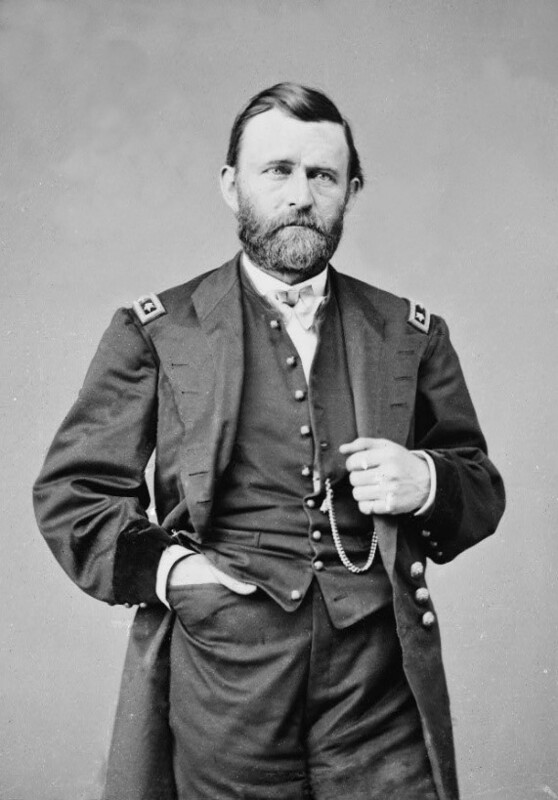 Grant would have accepted those risks and proceeded with his strategy. He would have reasoned that, despite the short-term challenges of replacing losses, the Rebels would have much more difficulty recovering from such a slugfest than the Empire would. Grant might also have reasoned that it would be much easier to bind together a government by NOT being a pro-human racist or building giant planet-killing superweapons that would ruin the galactic economy but that is neither here nor there. Remember strategists: focus on your most important objectives, use your advantages wisely, and don’t be afraid to take risks. If you do, you too might defeat the Rebel Fleet one day. Matthew Merighi is CIMSEC’s Director of Publications. He is a Masters of Arts candidate at the Fletcher School of Law and Diplomacy at Tufts University. He is also a proud Star Wars nerd. Disclosure: I have been following the evolution and progress of Robert Young Pelton‘s work on Sudan for several months. I am quite pleased with what came of this trip for Robert and his filmmaker / photographer cohort, Tim Freccia. Enjoy! 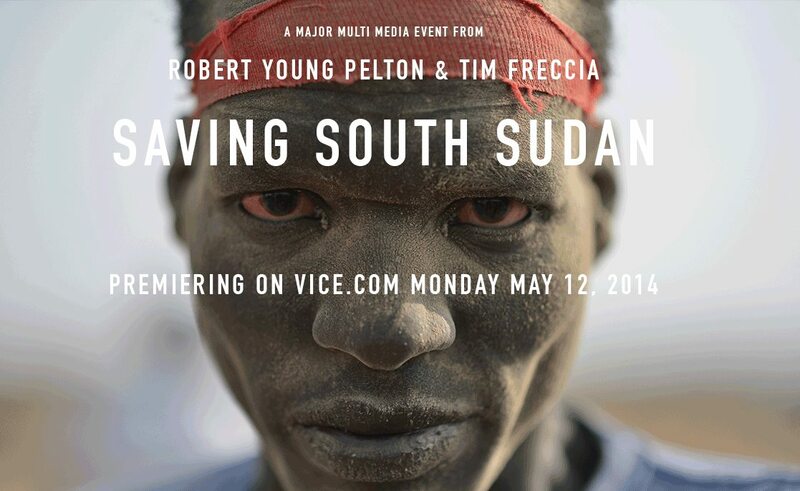 Saving South Sudan is an ambitious, multimedia event from World’s Most Dangerous Places, author Robert Young Pelton and master photographer/filmmaker Tim Freccia. VICE went big on Pelton’s quixotic journey with Nuer Lost Boy Machot Lap Thiep to “fix” South Sudan. The three enter the world’s newest nation, at a time of extreme crisis and bloodshed, creating a grand yarn with bold characters and high adventure set against sweeping, brutal savagery. The story of South Sudan as viewed through a Western lens is unbelievably complex, but Pelton gives us an African perspective where the current crisis is demystified by those closest to it. South Sudan has plunged into another round of playground rivalry where the contested sandbox is the world’s newest country and the opponent’s bloody noses, busted lips and black eyes are dwarfed by the physical and emotional damage inflicted on its spectators. Saving South Sudan gives us an intelligent summary of the history, religion, cultural anthropological aspects, militarism, oil economy and “baksheesh-ocracy” that makes South Sudan tick. Serious students of the subject are encouraged to consider all of these facets while reading / viewing this oeuvre: No actions are promoted, no outcomes are predicted- and this is how it should be. This is Africa. Pelton’s 130 page print piece and 40 min documentary grants the viewer unparalleled access into an Africa where there are no orange sunsets framed by acacia trees. 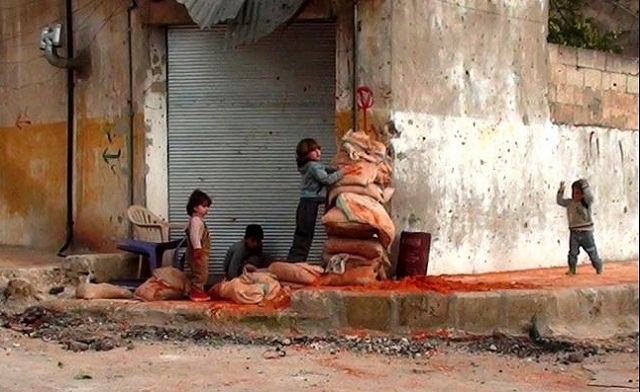 A place where war is irregular, ferocious and unpredictable. In THIS Africa even the “rebel leader” bristles at being identified as such. In an earnest conversation, ousted Vice President Dr Riek Machar relays his desire isn’t to incite violence but to have a seat at the table in order to discuss options and opportunities to end the conflict. Pelton takes the filter off: behind the rhetoric, the violence continues in real time and we know that securing a seat at the table and successful negotiations (see recent media reports) bear little impact on the battle for oil on the ground. If fighting has indeed ceased, most roving bands have yet to receive the memo. I can’t exit this review without mentioning the main reason to take the time to get briefed on the region through Pelton’s Saving South Sudan. The human touch interviews with the rulers, rebels and raconteurs would be reason enough. So would Freccia’s breathtaking portraits of the people, landscape and conflict. But taking you along this expedition is Machot- an affable, handsome (still) young man and former lost boy. His story is one of sorrow, success, and optimism. His is perhaps the best lens of them all. Stephanie Chenault is the COO of Venio Inc, a service-disabled, veteran-owned small business which focus on plans, policy, architectures and problem-solving across the Department of Defense for multiple clients.